Our favourite royal couple, Prince Harry and Meghan Markle (sorry Wills and Kate), touched down in the town of Dubbo, Australia recently according to the Evening Standard and visited Victoria Park for a picnic to celebrate the community spirit within the region. But they weren’t the only ones who decided to turn up on the day it seems. 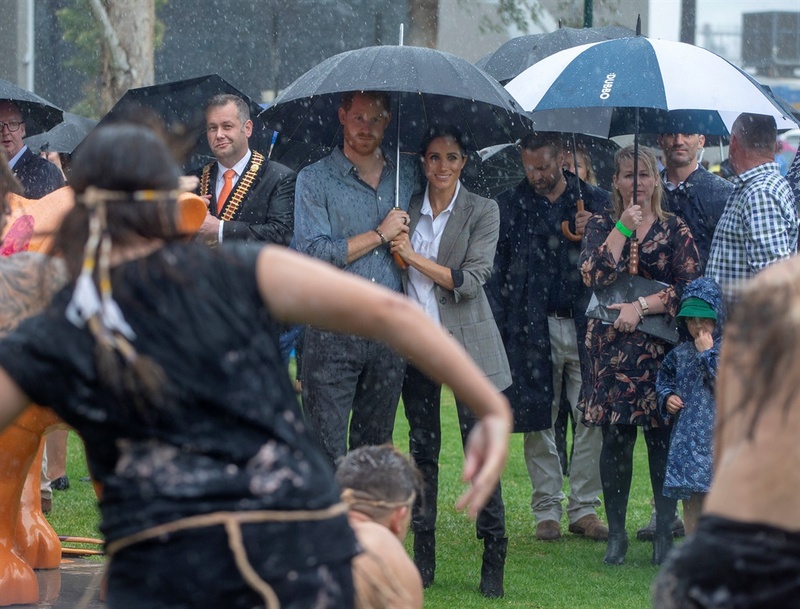 After struggling with drought for the past several years, Dubbo experienced heavy rainfall as Prince Harry took the stage to deliver a speech. 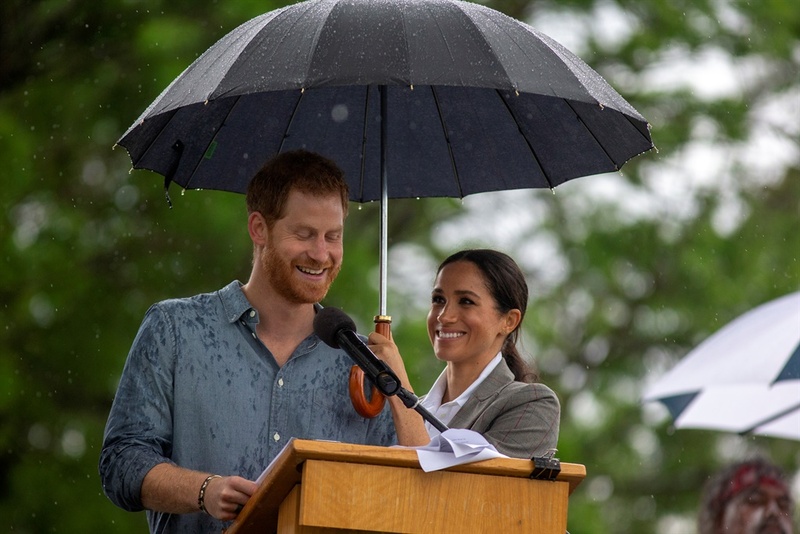 The unexpected showers proved to be a surprise for everyone, Meghan and Harry included, but the prince did his best to keep his beloved dry during their walk and was seen holding an umbrella as they walked to the stage looking at her sweetly. But then as he got ready to give his speech, he gave the umbrella to his wife to stay dry. 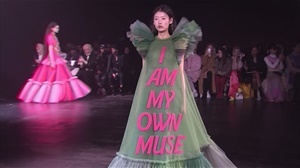 Showing they are the perfect team, the pregnant royal then walked on stage and insisted on returning the favour, sheltering him as he spoke to the crowd. 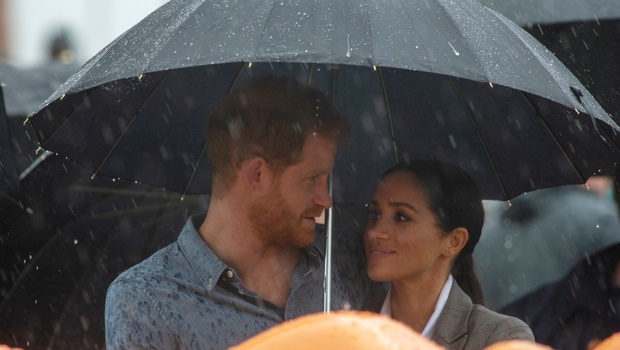 While Dubbo’s Mayor Ben Shields offered the prince his umbrella, Harry said, “It’s all right, I’ve got my wife,” according to the UK Mirror. “Our region has been hit by a terrible drought so we are very pleased that you can bring that terrible English weather here with you,” the mayor joked before welcoming Harry. These two are just too cute and we can’t wait to see what other shenanigans the rest of this tour will bring. WATCH: Kate, Meghan or the Queen - who has been the busiest royal in 2018?